You're cute, colorful and dangerous! 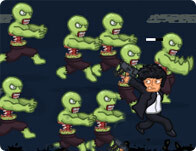 Find your way to the Big Boss by passing 25 levels and two mini bosses. Enjoy the mysterious storyline and two different endings!